Jim began his career in the youth side at Kilmarnock. A former Scotland youth and Under-21 player, he went on loan to Barnsley and then almost immediately returned north to join United. He was a regular in the line up during his three years at United but in July 2003 he was released. He then joined Livingston. 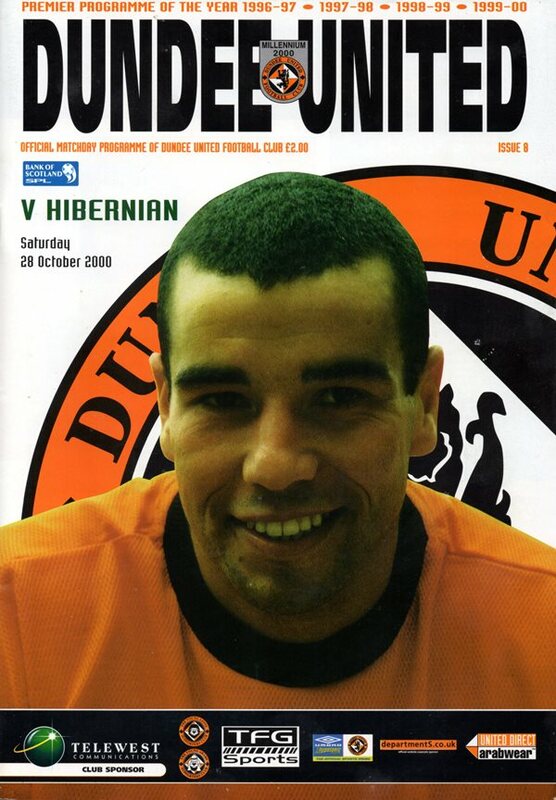 A wet and windy Tannadice welcomed new signing Jim Lauchlan for his debut in this match. Young Stephen McConalogue returned to the squad after recent illness and earned a place on the bench. An overseas trialist first seen in Monday’s U/21 match at Tannadice joined him as a substitute. Alex Smith's United recorded just their fifth win of the season thanks to a Jim Lauchlan double at Links Park in the 3rd Round of the Scottish Cup. Craig Easton replaced Russell Latapy in the United line up for this match while Kevin McGowne made his first start for two months, against his former club.